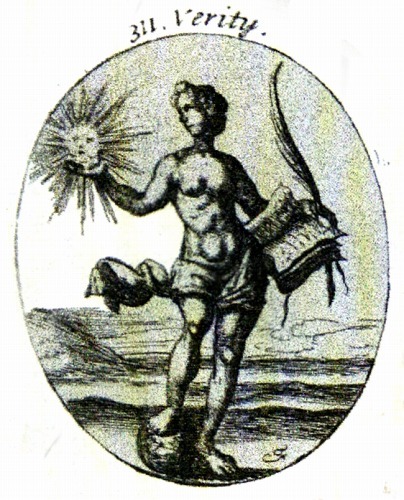 This naked Beauty,holds a Sun in her right Hand;in her left,a Book open ,with a Palm;under one　Foot the Globe of the world. Naked,because downright Simplicity is natural to her. The Sun shews her great Delight in Clearness. 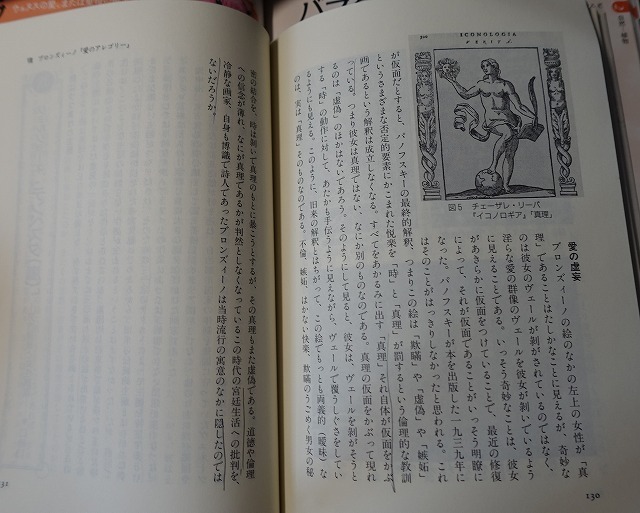 The Book,that the Truth of Things may be found in good Authors. The Palm,her Rifing the more she is depress'd. 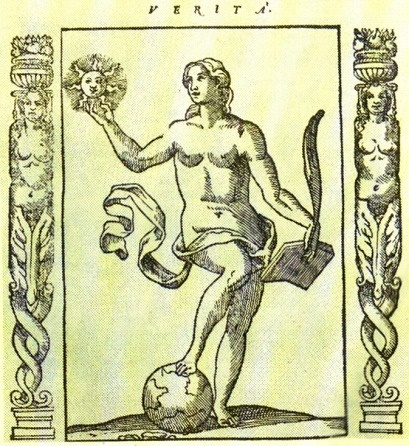 The Globe ,that being immortal,she is the strongest of all Things in the World,and therefore tramples upon it. 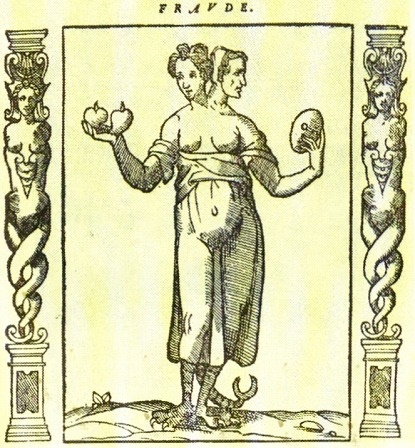 A Woman with two Faces,one young,the other old;Feet like Eagles Talons:a Tail like a Scorpion,two Hearts in her right Hand,and a Mask in her left. 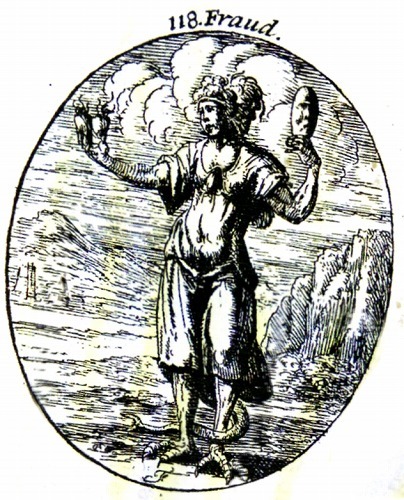 The two Faces denorte Fraud and Deceit,ever pretending well:The two Hearts,the two Appearances;the Mask,that Fraud makes things appear otherwise than they are;the Scorpion,and Eagle,the base designs,and Descord they foment,like Birds of Prey,to rob Man of their Goods or Honour.